All Murray homes currently listed for sale in Murray as of 04/19/2019 are shown below. You can change the search criteria at any time by pressing the 'Change Search' button below. If you have any questions or you would like more information about any Murray homes for sale or other Murray real estate, please contact us and one of our knowledgeable Murray REALTORS® would be pleased to assist you. "Gorgeous, all- brick, immaculate home with amazing floor plan, all main -floor living, and three en suite bedrooms. A highlight is the show-stopping professional kitchen with double islands, double sinks, Viking appliances, and beautiful cherrywood cabinetry. Spacious yet cozy, the home has an attached 1,800 square-foot, 4 car garage, as well as a guest quarters with separate entrance. An Additional 2,000 square foot garage offers incredible storage for cars, recreation vehicles and toys, or could be converted to a guest house.The space includes a bathroom, heat, and swamp cooler. 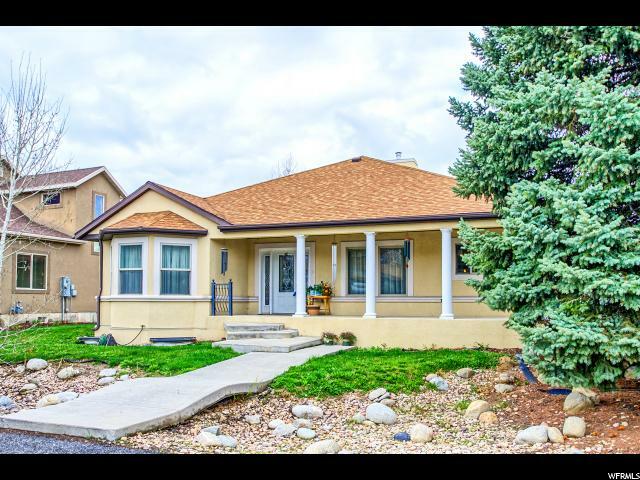 Home is just minutes away from I-15, Intermountain hospital, Costco, parks, and schools." 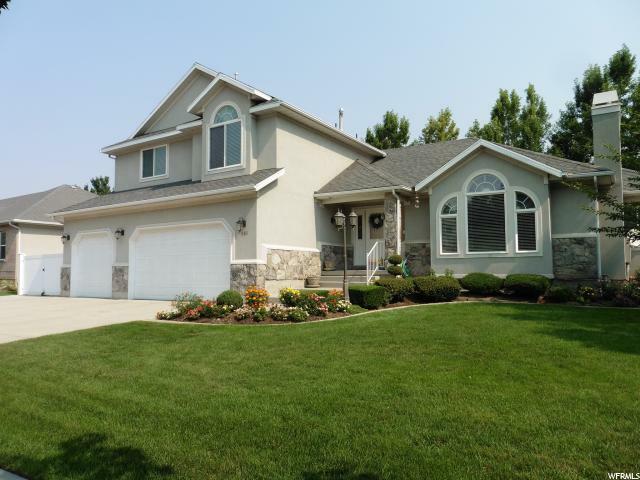 "This beautifully crafted Murray home will impress even the pickiest home buyer. With floods of natural light, open living and dining areas, and gorgeous custom finishes, there is something to love in every room of this home. Step inside the grand entrance, and fall in love with hickory hardwood floors, and a staircase that will take your breath away. With two large family rooms (one on the main floor and one in the basement), you can entertain and relax with ease. And on the topic of relaxing, there's a separate large upstairs theatre room with its own 1/2 bath, wet bar and microwave. If you're ready to take family movie night to the next level, then this is the home for you. With 6 large bedrooms - each with a walk-in closet - there is room to expand your growing family, and even host visitors. The master bedroom, with its gorgeous ensuite and private fireplace, is conveniently located on the main level. One look at those dual vanities and jetted tub, and you're all ready to relax after a hard day of work and play. Also located on the main level is the open family room and kitchen. The kitchen is built to elegantly handle any meal or special occasion that comes along, and with two dining areas, you can seamlessly transition from hasty bowls of cereal before school, to beautiful holiday dinners with family and loved ones. The kitchen proudly boasts knotty alder cabinets, which are timeless and stylish. Other great features this home includes are: a spacious three car garage, ample storage space in the basement, garage, and shed, beautiful landscaping ready for seasonal blooms and produce, gorgeous backyard access to Little Cottonwood Creek, convenient neighborhood PUD maintenance, and an outstandingly short distance to schools, Wheeler Farm walking trails, shopping and I-215. This home is truly the one you've been waiting for, so don't let it get away! See it today! " "Enjoy this beautiful community of Haven Grove and the amenities of pool, tennis court and a yearly community neighborhood party. 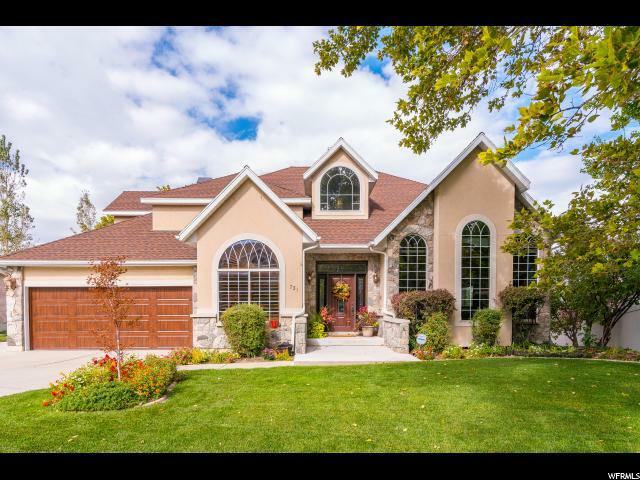 Beautiful home in a cul-de-sac with open and large gathering space for your family. Four bedrooms together on the 2nd level with the den office on main that can be used as a main floor bedroom. Master suite with master bath and large walk in closet and balcony. Formal living & dinning rooms along with family rooms on main level and lower level. Enjoy the Lower level wet bar & Game room that includes the pool table. Updated Kitchen appliances. Plenty of storage room with basement and garage. New roof completed aprox 2 yrs. Agents please allow a min of 3 hours notice to show and read agent remarks. " "EXCEPTIONAL OPPORTUNITY!! Sellers want to get this done!! 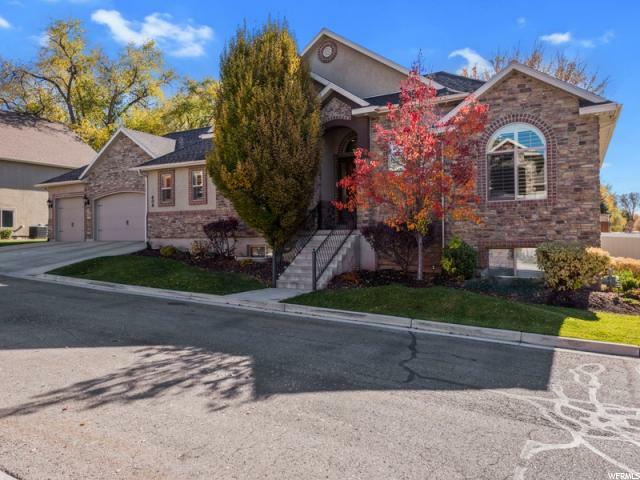 Custom home rarely available in the exclusive Erekson Dairy neighborhood of Murray. 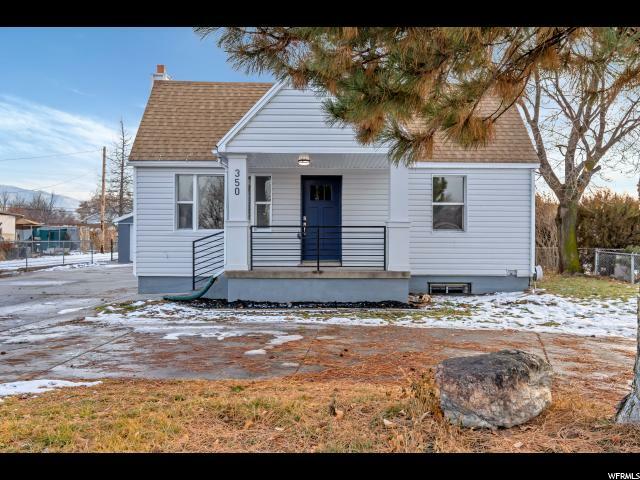 5 bedrooms, 1 office, 3 baths, 1 half bath Fully renovated and updated classic home. Gorgeous vaulted ceilings allow for loads of natural light throughout and stunning views from nearly every single window , as well as from the outstanding outdoor living spaces. Structural remodel with full permits was completed in 2011. Ample chef's kitchen with granite counters, SS appliances, superior gas range, double ovens, perfect pantry and an open concept design that leads into the very comfortable family room. Brand new bamboo flooring on first floor is both stylish and sturdy. Additional main level dining and additional living room space provide fabulous entertaining options, with soaring ceilings and floor to ceiling windows. Upstairs you'll find a thoughtfully designed , sumptuous master suite, 2 large bedrooms, roomy laundry and a full bath with Euro shower and inviting soaker tub. Downstairs you'll find a full MIL with separate entrance, 9 ft. ceilings, 2 spacious bedrooms, full bath, full kitchen, dining space, family room with custom built lodge style fireplace . The outside living spaces, professionally designed, are priceless and you might think you've wandered into Shangri-La. Large, no maintenance Trex deck off of main floor kitchen offers stunning views of Mt. Olympus. Follow the gently winding , red rock slab steps down to an inviting custom redrock firepit and patio, bordered by a gorgeous waterfall. Relax amid thousands of perennials which bloom colorfully throughout the seasons. The many trees were thoughtfully planted to provide a lovely and private backyard retreat. Entire yard is fully enclosed with metal ornamental gates and fencing. Updated HVAC unit with water softener, purifier and humidifier. *** Property has Utopia high speed internet available. Square footage figures are provided as "
"Rambler with master on the main. Newer construction with all the extras you don't think about when you buyer brand new: Yard in, shutters installed, all appliances.......sometimes buying slightly used saves you tens of thousands over new. Move in ready with east facing front and west facing back yard, the perfect home orientation. Home is at the end of the new culdsac which equals privacy, safety for the kiddos and no through traffic. The home haven you have been looking for your family. All appointments to be made through Showing Time "
"Tucked in a quiet cul-de-sac, this beautiful Murray rambler is a must-see. Beautifully landscaped with mature trees and bushes, it is a private, entertainers dream. Step inside the front door to find a welcoming family room with a custom barnwood accent wall, plantation shutters, high ceilings, and beautiful tile floors. Step from the family room into a spacious kitchen with chiseled edge granite counter tops, two tone cabinets, stainless steel appliances, double ovens, and plenty of storage. Around the corner you will find a dining room set perfectly for a dinner party with a fireplace and french doors to a beautiful covered deck. Enjoy a quiet evening on your covered deck, or step into the backyard for multiple seating and entertainment options - perfect for a firepit, large grill, above ground pool or playground. The fully fenced yard features storage, large RV parking, and many flower beds. 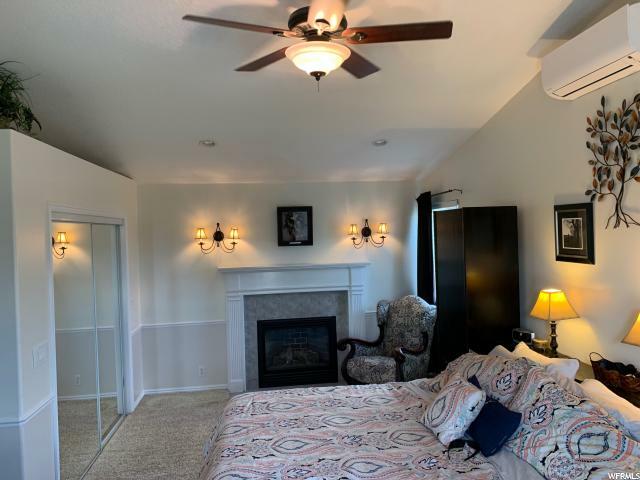 A sizeable master suite with walk in shower, large jetted tub, dual vanities, walk in closet and custom tile work offers plenty of natural light creating a serene retreat. The main floor features two additional bedrooms and main floor laundry facilities. Downstairs you will find an open entertaining space featuring a fireplace, wet bar, and room for a pool table or game table. Also featured is a theater room complete with projector and screen. Three additional bedrooms and plenty of storage space finish off the basement of this beautiful home. 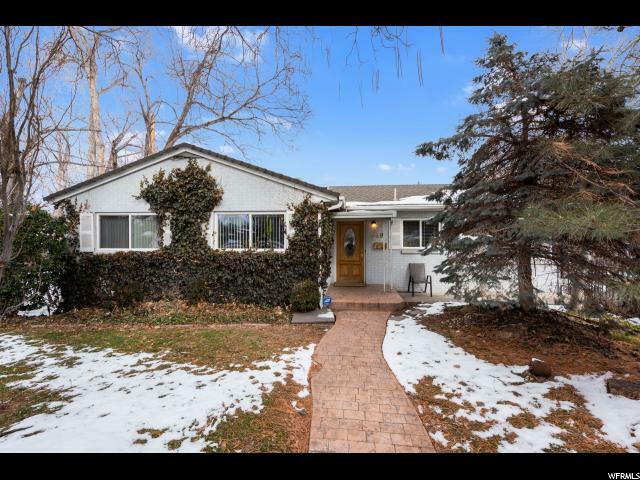 Just moments from shopping and dining and mere miles from the base of Parley's and the Cottonwood Canyons, this home is a great opportunity to enjoy peace and quiet while being comfortably close to city life. The Seller has made many improvements to the property including a new roof, new garage doors, new metal cover for the deck, updated paint in most of the house, garden curbing, plantation shutters, and much more. " "MOTIVATED SELLER BRING US AN OFFER*HARD TO FIND SECLUDED PROPERTY IN A COMMERCIAL MIXED USE RNB ZONING*HOME DETAILS INCLUDE A MASTER BEDROOM SUITE WITH MASTER BATH, OVERSIZED TUB & SEP SHOWER* ACCESS A PRIVATE PATIO FROM THE MASTER BED* NOW THIS IS A YARD*YOU WILL LOVE THE MATURE TREES AND CAREFULLY DESIGNED LANDSCAPING*LARGE 20x40 DETACHED HEATED/COOLED GARAGE WITH WORKSHOP AREA INCLUDING 220V POWER & 2 BAY 12CARPORT FOR RV OR BOAT STORAGE*MULTIPLE STORAGE SHEDS & OUT BUILDINGS*ATTACHED INFO FOR RNB ZONING DETAILS*PROPERTY INCLUDES THREE PARCELS TAX ID#21-24-276-007 & TAX ID#21-24-276-001 TAX ID#21-24-276-002*The home is currently being used as a storage for a book store*Want to preview photos of home interior without the books? Refer to previous MLS #1321865 Square footage figures are provided as a courtesy estimate only and were obtained from County. Buyer is advised to obtain an independent measurement.MAKE THIS WONDERFUL PROPERTY YOURS NOW*"
"Fantastic quiet, central location in Murray with easy commute in all directions. 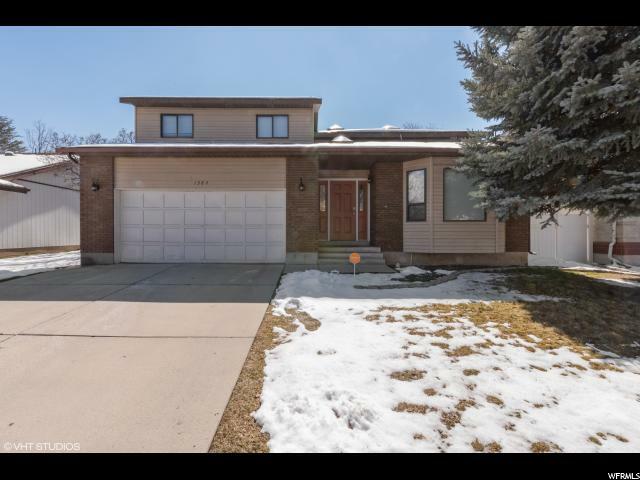 Enjoy a comfortable, spacious home with fine features including two fireplaces, upgraded driveway with space for RV parking next to house, large 3-car garage, and large open kitchen. High ceilings give a spacious feel with ample light from large picture windows. Spacious family room next to kitchen and dining area. Top floor has 4 bedrooms including a spacious master suite. Two bedrooms in the lower/basement level with ample space for storage, etc. Beautiful views from this quality home in a fine neighborhood. High end furniture in the formal living and dining can be part of purchase." 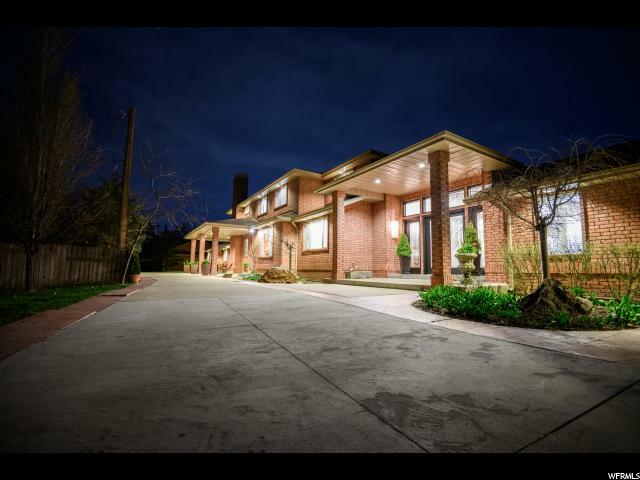 "Beautiful brand new Hamilton Traditional home in the heart of Murray! Great location, great home! Features include 3 car garage with exit door, can lighting, maple cabinets with trim accent, soft close and rollout drawers and hardware, stainless steel gas appliances, quartz counters, beautiful kitchen tile backsplash, brushed nickel hardware, tile accent surrounds in the bathrooms, textured walls, 2 tone paint, large modern base and casing, hardwood flooring and so much more!!! Do not miss out on this home!" 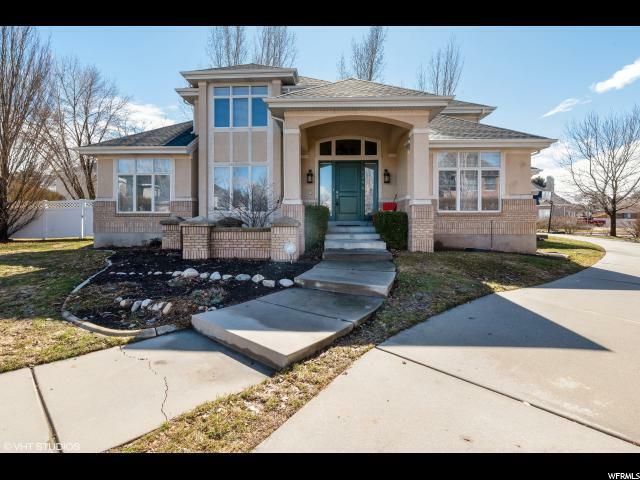 "Looking for a home in Murray? Here is one you don't want to miss out on! Brand new Monterey Traditional home! Features all the amenities such as a 3 car garage with exit door, can lighting, beautiful maple cabinets with trim accents and hardware, stainless steel gas appliances, quartz counters, white gloss kitchen tile backsplash, brushed nickel hardware, tile accent surrounds in the bathrooms, 2 tone paint, textured walls, large modern base and casing, hardwood flooring and SO MUCH MORE! " "BEAUTIFUL rambler, on a quiet street in Murray! Home checks all the boxes with high ceilings, natural light, open floor plan, and 3 car garage. No need to spend weekends on yard work, or snow removal, as both are included in the HOA. 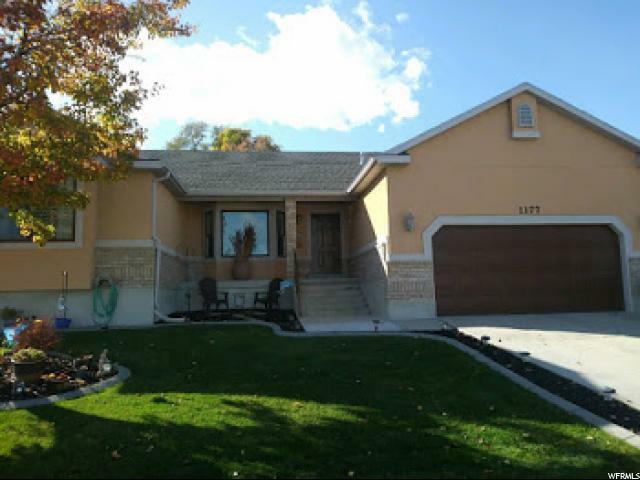 Home is next to Mick Riley Golf Course, and is convenient to freeways, and down town Salt Lake. Please bring your pickiest client, to experience in person. Home will not disappoint! Square footage figures are provided as a courtesy estimate only and were obtained from 3rd party . Buyer is advised to obtain an independent measurement." 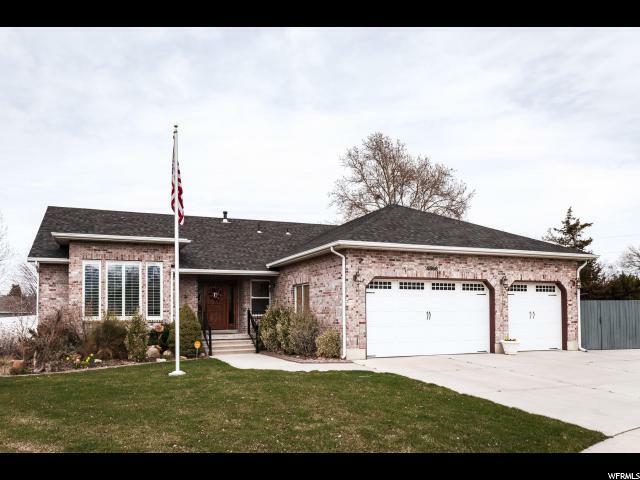 "Amazing home, great Murray location! Brand new Fulton Traditional home plan with all the amenities! 3 car garage, spacious box bay window in kitchen nook, can lighting, maple cabinets with crown moulding and hardware, stainless steel gas appliances, quartz counters, beautiful kitchen tile backsplash, brushed nickel hardware, tile accent surrounds in the bathrooms, textured walls, 2 tone paint, large entrada base and casing, hardwood flooring and so very much more!!! Come check it out today!" "Spacious home on desirable cul-de-sac with mountain view and stream. Light inviting interior with fresh paint and new carpet. Quality detailing includes formal entry with spiral staircase, Travertine and new solid hardwood floors, crown moldings, vaulted ceilings and skylights. Formal living and dining. French door off dining room opens to huge private deck and mature back yard with stream. Open kitchen has central work island and informal dining that also has French door to deck--ideal for entertaining. Comfortable adjoining family room plus main floor office. Convenient half bath and laundry complete the main floor. Upstairs master suite boasts vaulted ceiling, walk-in closet and luxurious bath with separate tub and shower. 3 Additional bedrooms share 2nd full bath up. Finished lower level includes large recreation room with fireplace, 2 bedrooms and full bath. New roof 2012. 2 A/C units (main/upper floor unit is new). 2 Water heaters (1 new). 3-Car garage. Square footage figures are provided as a courtesy estimate only. Buyer is advised to obtain an independent measurement." "Immaculate home on a beautiful tree-lined street. Well laid out floorplan with great room feel. This amazing master suite has an oversized sitting room, you will not see anything that compares to it! Updated and freshly painted for the new owner. French doors lead out to the private backyard. Park your toys on the 50 ft RV pad. New HVAC (2018), water heater (2018), roof (2013) and windows (2013). 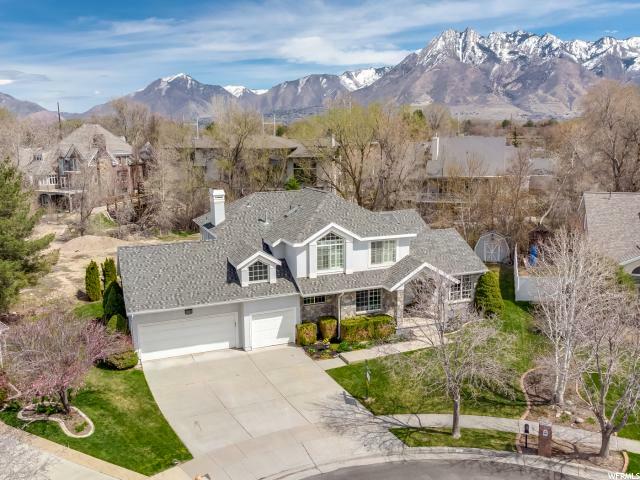 Close to schools, parks, Jordan River Trail, with an easy commute to downtown via Trax and I-15. Shopping and Intermountain Medical Hospital is minutes away. This house feels like a home and is ready for a new family! Sellers are willing to remove the cabinets in the upstairs bedroom if the new buyer did not want them. " "New Back to the Market 3/29/19 with new basement flooring! Open & bright classic brick rambler! Updated main floor: granite, white cabinetry, custom lighting, high end faucet, ss appliances, oversized island, euro glass, comfort height elongated toilets, plus new windows, roof & fence. Plantation shutters throughout. 1 level living w/ main floor laundry, potential basement aprtmnt or enjoy the spacious family room w/ wet bar. Remodeled basement bathroom. Basement storage has cedar lined closet. Laundry originally in basement, hookups still there if remove utility sink. 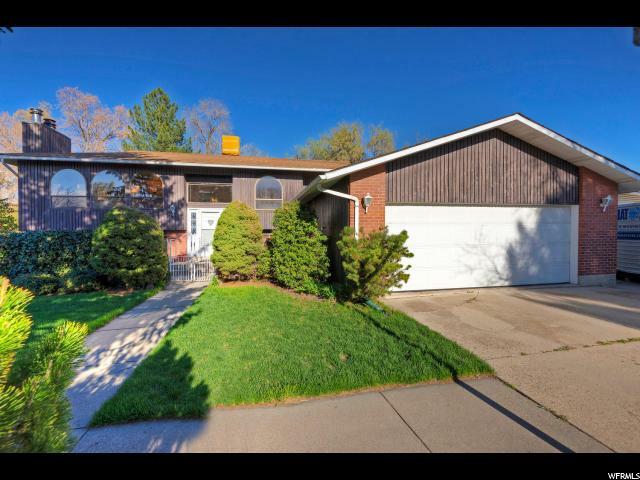 Spacious garage w/ lots of cabinets." "This large unique home situated on a huge lot right in the middle of everything has it all! Completely updated, possibly mother-in-law or basement rental. Incredible large master bedroom with a closet you have to see to believe. Central Murray location is hard to find. Everything is new and updated. Would make a great large or even two family home. Giant lot goes all the way back. This home is ready to move in but still has massive potential for growth. " 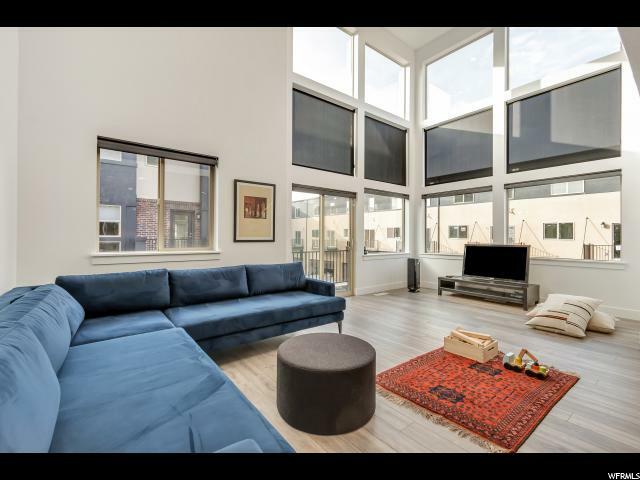 "If you are looking for an open, sleek, contemporary space that is out of the ordinary... the Coveted Manhattan Floor Plan may be just what the doctor ordered! Over 2700 Sq Ft of Livable Space! Modern brilliance and tons of natural light! 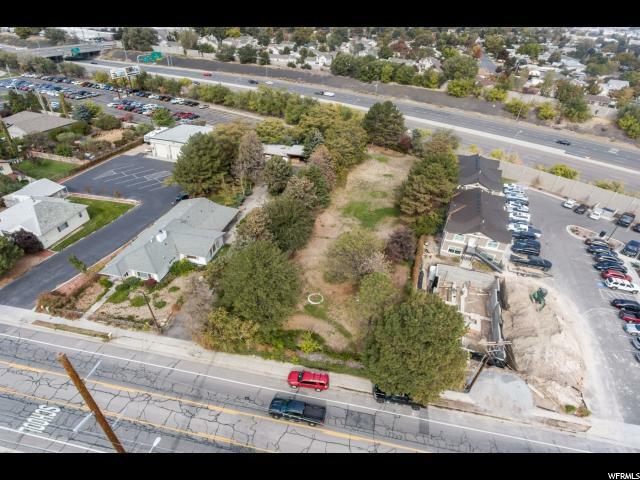 Conveniently located within walking distance of TRAX and just a hop, skip and a jump from the I15 corridor. The exterior profile displays an upscale, artful design and color palette. This unit has been designed to maximize your livability on every level. The moment you walk through the main entrance, you will be surprised by the volume of space. 11 foot ceilings don the main floor entry and adjacent bedroom/family room/game room/guest suite ... On the second level you will find an open concept, loft design; a large kitchen flowing into an ample sized living room with a 20 foot ceiling and floor to ceiling windows... perfect for entertaining. The kitchen is equipped with stainless steel appliances, sleek painted maple cabinetry, luxury plank flooring, quartz countertops, and recessed lighting. Upstairs you will encounter 3 huge bedrooms, a laundry closet in the hallway, and 2 bathrooms equipped with maple cabinetry and quartz countertops. You will love the size of the loft master suite and walk-in closet. Call or text today for an appointment!" "Convenient area. Close to freeways, schools, hospitals, Murray City Rec, Murray Park , shopping centers, grocery stores, and Fashion Place Mall. Great location to run a business out of the basement. We ran a clock shop for 20 years and was very successful. We had a business license with Murray City. There is a separate door on the side of the driveway for the shop. RV parking is available. The driveway is available for large boats and motorhomes. Square footage figures are provided as a courtesy estimate only. Buyer is advised to obtain an independent measurement." "Lovely 2 story home with a finished basement. Enjoy the well maintained and desired neighborhood close to schools, shopping, recreation and much more. Featuring an updated kitchen, skylights, a formal dinning, rec room, formal living & family room. " " Located in a quiet cul-de-sac, this contemporary, open-concept remodel is absolutely stunning. Step into your new home, a modern masterpiece with dramatic windows, skylights, and soaring vaulted ceilings. Cook up a gourmet feast in the spacious, brand new kitchen, complete with quartz countertops, a 5-burner gas range, built-in stainless steel oven & microwave, bonus prep sink, and did we mention the beautiful, generously-sized island as the centerpiece of it all? This custom space was designed for entertaining, as right across from the kitchen is a spacious living room to relax and chat around the modern, eco friendly fireplace. The gorgeous master suite boasts a huge walk-in closet, his & her sinks, two shower heads--one a waterfall, while the other falls like rain. The basement has another gigantic family room and gorgeous bath. Laundry hookups both upstairs and downstairs make single-level living possible. Updated plumbing & electrical. Close to parks, restaurants, shopping, golf courses & more. " 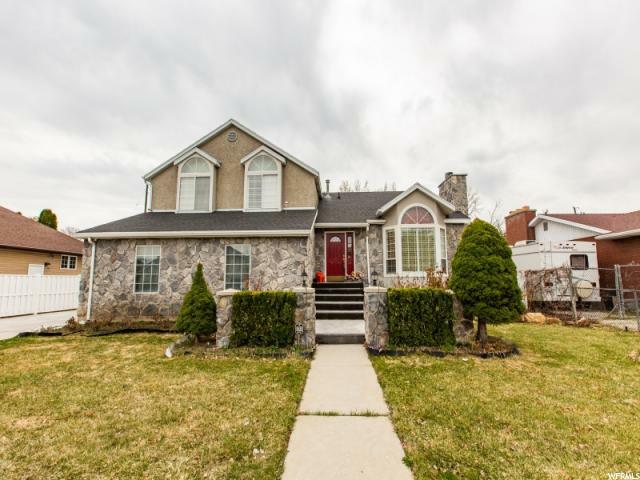 "This spacious home in a great neighborhood has a ton to offer. The home has been very well taken care of and has room for everyone. The custom entry steps to the home are heated, no need for a snow shovel! The sitting and dining area has vaulted ceilings and is large enough for your biggest party. The vaulted ceilings carry into the kitchen which features dual ovens and a large island. The master bedroom is huge and the master suite is finished off by a large soaker tub and closet. There is plenty of parking in addition to the oversized two car garage. The fully fenced yard includes garden boxes and fruit trees; apple, peach and cherry. The large storage shed is included in the sale. PLEASE VIEW AGENT REMARKS FOR SHOWING/OFFER INSTRUCTIONS." "OPEN HOUSE SATURDAY MARCH 16TH FROM 11 UNTIL 2 PM! Wow! This home is beautiful~! Clean one owner. An organizers dream. Five minutes to freeway access. Quiet neighborhood with amazing neighbors. So many upgrades! New carpet, furnace, AC unit. Basement ready for buyer's imagination. Such an amazing custom home and yard!" 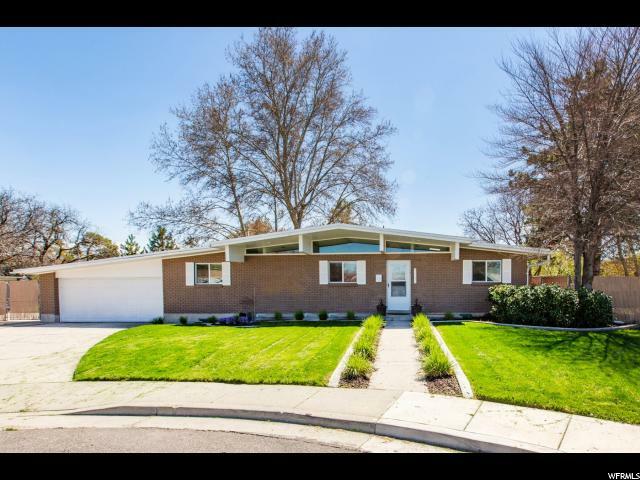 "Home located in highly desirable and sought out Murray neighborhood. Large open floor plan with tons of windows and skylights allowing a magnitude of natural light. Front porch(Zypex) is water resilient with an abundance of storage underneath, and is fully handicap accessible. Large great room with vaulted ceilings , dual fans, track lighting and marble gas fireplace. Dining room connected to both kitchen and great room contains skylights and full floor to ceiling windows. Laundry exits to the handicap ramp leading to the backyard where there is a full water/stone feature underway(almost complete), and gas valve for gas BBQ. Main floor master leads to the backyard with large bay windows and a full master bath containing handicap accessible shower with skylight and working Jacuzzi tub. Basement contains exaggerated high ceilings with outdoor walkout and 2 furnaces. Large storage or theater room below garage, with a full finished bedroom and full bathroom. $3,000 Carpet Allowance and $5,000 Landscape Allowance will be given from the sellers." "Enjoy the peace and quiet, away from the hustle and bustle of the city. You are in your own oasis with this beautiful home. A large backyard, fully fenced, with mature trees and landscaping, offer you your own slice of heaven! On a .33 acre lot you are sure to have enough space to relax and unwind each day. An attached 2 car garage, 5 bedrooms and 3 bathrooms give you a home you can grow with. Call us today for your own tour!"